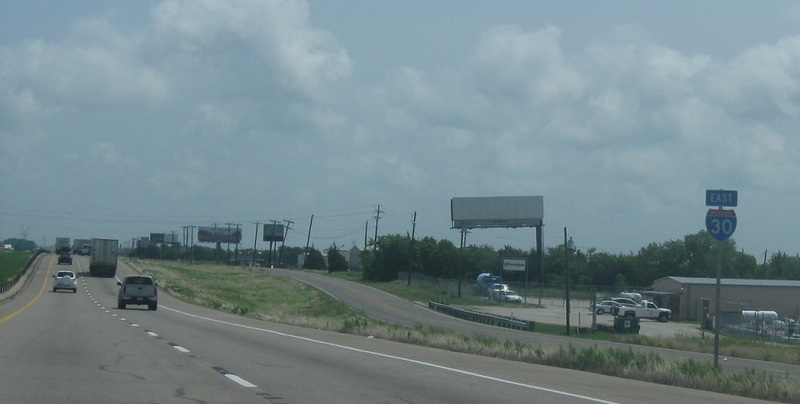 Reassurance shield after the 551 interchange. 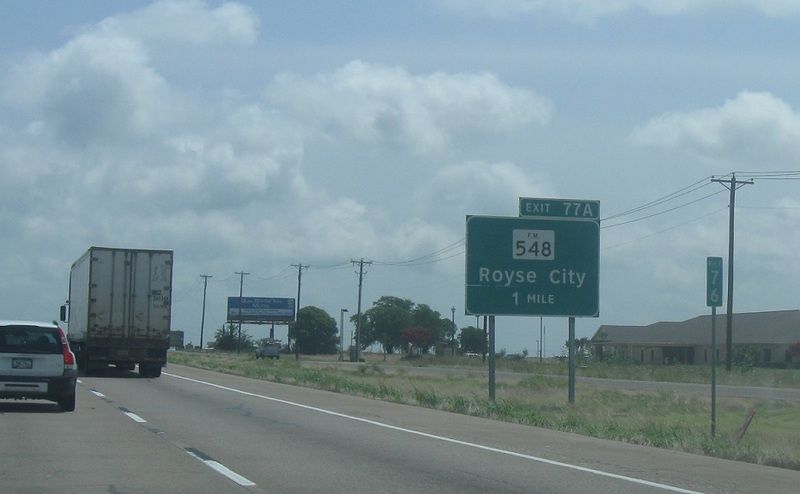 As we enter Royse City, we’ll approach FM 548. 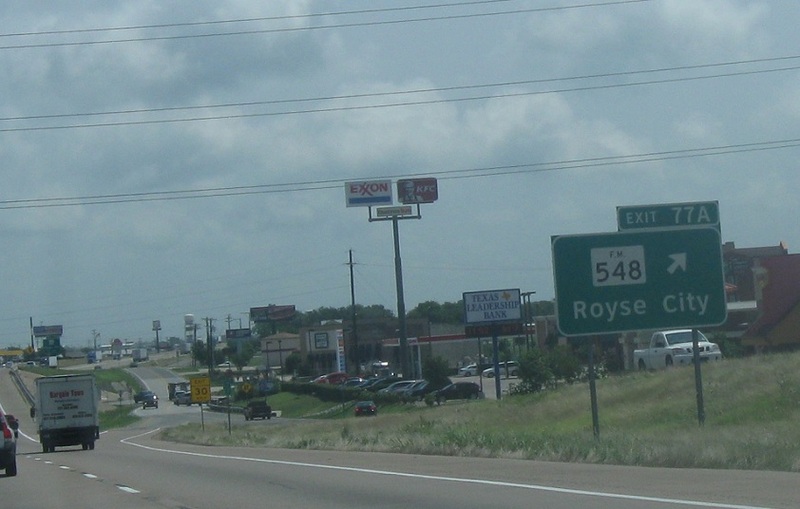 Exit for FM 548, which heads towards downtown Royse City.